Greater Des Moines has nabbed the 2015 NCAA Division I Women’s Volleyball Regional Championships. 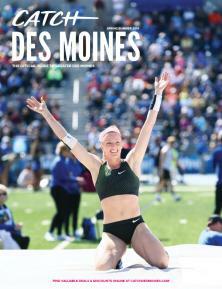 The Championships will be hosted in December by the Des Moines Area Sports Commission, a division of the Greater Des Moines Convention and Visitors Bureau, Global Spectrum and the University of Northern Iowa. 2015 will be the first year Greater Des Moines has hosted an NCAA Volleyball Regional Championships. For interview assistance, please contact Tiffany Tauscheck via cell at (515) 491-9350, phone at (515) 699-3433 or tiffany@catchdesmoines.com.